Jianhu acrobatics is a kind of traditional acrobatic art of the Han nationality that was generated and popular in Jianhu County, Yancheng City, Jiangsu Province. As early as in the 1-7th century (the Han and Tang dynasties), the 18 villages within the 83 li radiating from Qingfeng Town of the county were collectively called as “the team of 18 ”and the famous Jiangsu Province Acrobatics Troupe, Yancheng City Acrobatics Troupe after the 20th century have both originated from “Jianhu Team of 18”. Firstly, as for the type of programs, Jianhu acrobatics is dominated by skill-oriented and pliable programs. 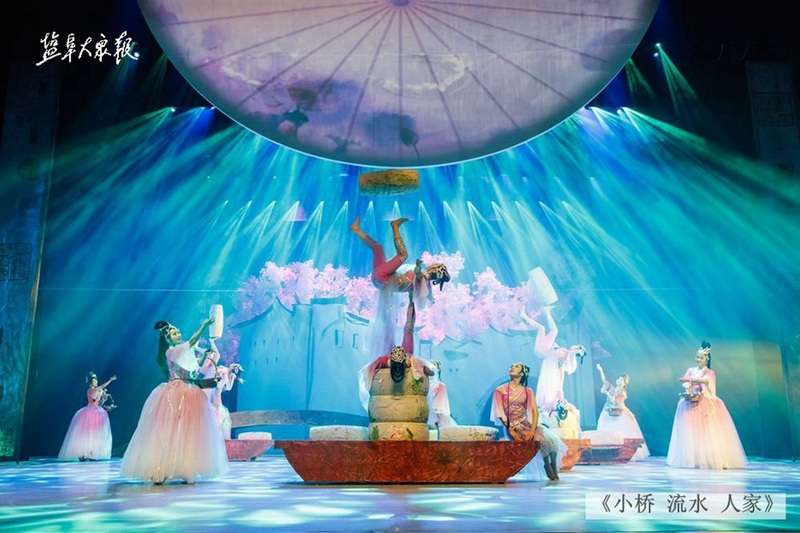 Such programs are most suitable for performance on stage, their content is also originated from the life of Yangze River and Huaihe River people, but have been processed and extracted in an artistic manner from production and living. 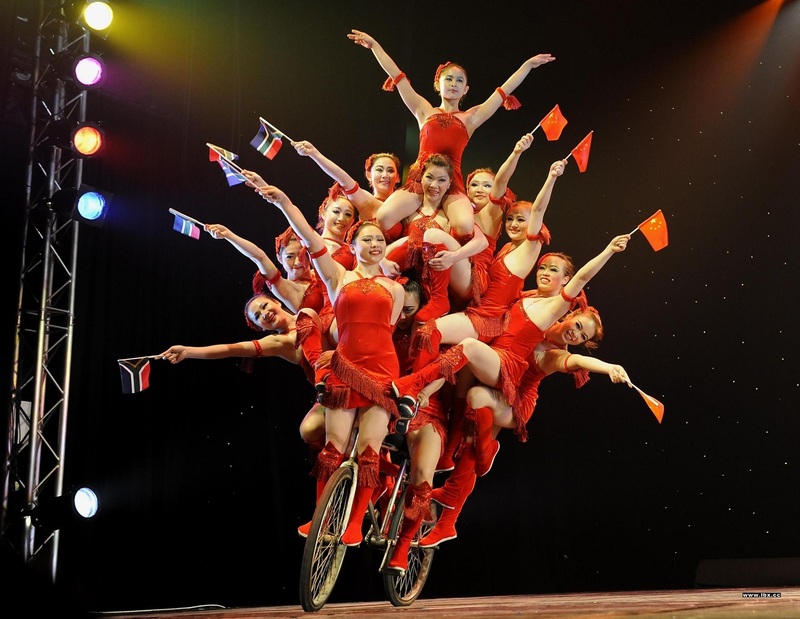 By far, Yancheng City Acrobatics Troupe has had more than 200 skill-oriented and pliable acrobatic programs. Secondly, for the program performance, it is particular about being fine and smooth, mellow, and perform high, accurate and breathtaking acrobatic actions. It melts these actions into the relaxed and rapid performance by actors to make the audience feel the temperament and interest of life. Taking, the program Turning Disc, was originally the simple disc turning performance, through constant innovation and by adding into such graceful body language as turning body, bending backward into a bridge, kicking legs etc. and the thrilling sculpt of overlaying arhats, it has become a very wonderful program. Thirdly, as for the comprehensive art, it attaches importance to perfect combination of sound, dance, light and skill and tries to create high, new and beautiful artistic state. 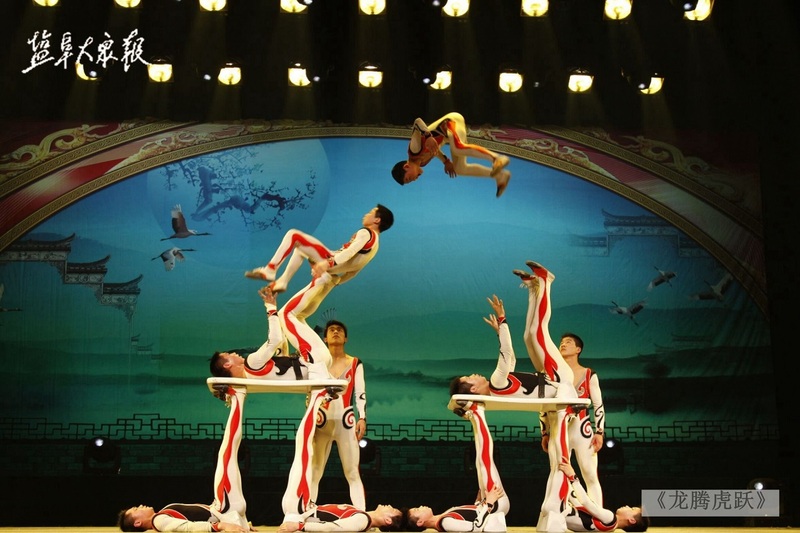 During its study and constant innovation process from Guangzhou, Shanghai, Wuhan and foreign troupes, Yancheng City Acrobatics Troupe has attached great importance to design and application of costumes and stage properties, and paid attention to the subtle combination of sound, stage, light and skills so as to upgrade the artistry and viewing value for acrobatic programs.